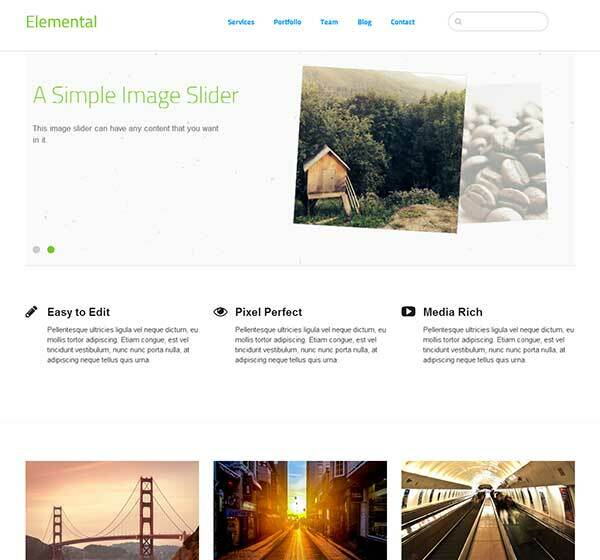 Cloneamental is an editable packaged copy of the default 5.7 Elemental theme. Often users want to make changes to the default Elemental theme. The problem is that any changes made to the Elemental theme will be lost when concrete5 is updated. During an update, all files inside the concrete folder will be overwritten. To prevent the loss of changes, the theme must be copied or and override must be made. For many users, this may be technically challenging. Cloneamental is an alternative to copying/overriding the Elemental theme. It places a copy of Elemental in the packages folder where it can be modified without the risk of being overwritten. The default Elemental theme is located in the concrete folder. The Cloneamental theme is located in the packages folder. *** This is not a new theme, the features and functions of Cloneamental are an exact copy of the default Elemental theme. All questions, bug reports, fixes, and other support requests should be made in the forum and bug tracker. Support Response: None, I'm busy.